New features for 1998 include more advanced Quarterback functions such as the ability to play lob passes and adjust timing patterns. More instinctive AI features to adjust as the match goes on. Squad features now offer the opportunity to create plays and trade them. 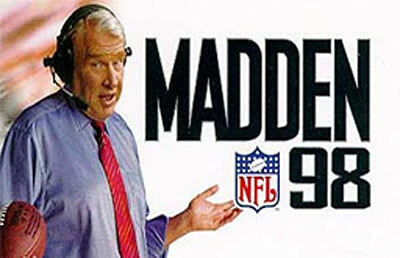 Gameplay is much the same as the other editions, with the full season on offer as well as playoffs and the Superbowl. Everything is presented TV-style, with play-by-play analysis and reports. The contemporary NFL teams are joined by historical team lineups.